Rachel I think this cake looks perfect, so lovely and moist. And such a pretty cakestand! I used to hate beetroot but can't get enough of it now. I read something about taste buds renewing every few years so maybe that explains it! Can you taste the beetroot or does the chocolate cover it up? I watched a lot of cupcake wars when I was off work and those crazy people are well into their savoury cupcakeflavours like fish and Courgette with caviar on top. Mental! It doesn't taste of beetroot, although I still couldn't eat it as I detest even the smell of the stuff! I knew it was in there... Everyone at work loved it! Haha, I have always maintained that eating beetroot is like licking the earth, finally someone who seems to agree! I've had beetroot brownies and I have to say they were acceptable, so I might just give this a go (when I get round to buying a bundt tin anyhow!). Thanks for sharing the recipe! I completely agree that beetroot tastes like soil! However the crunchy beetroot you get in salad bags is nice and doesn't have any soil taste. Can you taste the beetroot in this cake? 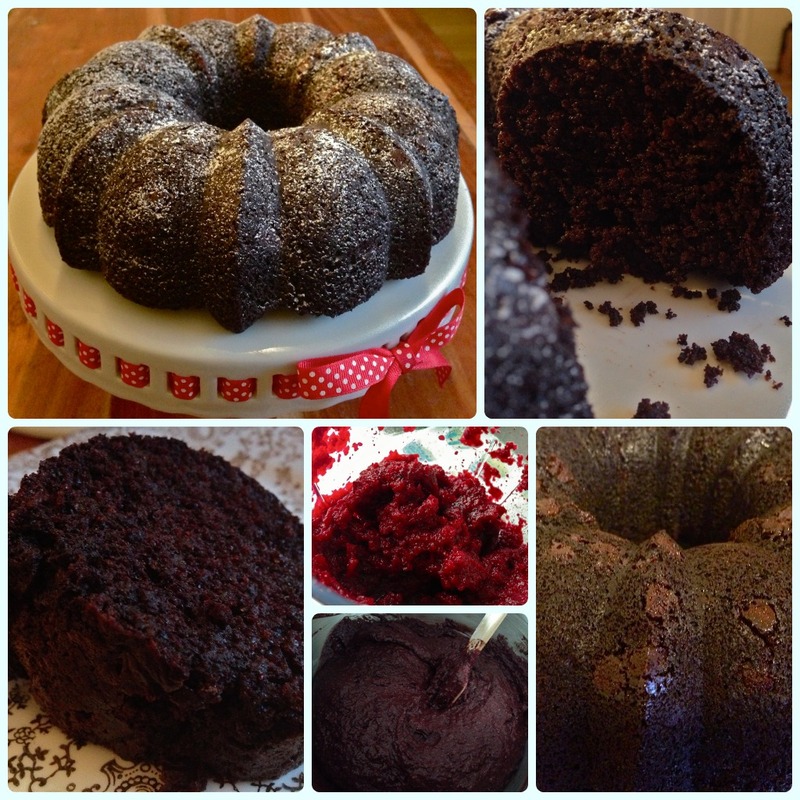 I love this bundt, such a gorgeously moist cake (and I'm not a beetroot fan normally!) I made this for my son's preschool summer fayre and it's still talked about!